In this WPProTip™ you’ll learn how to password protect posts, pages, sections or entire WordPress Website. 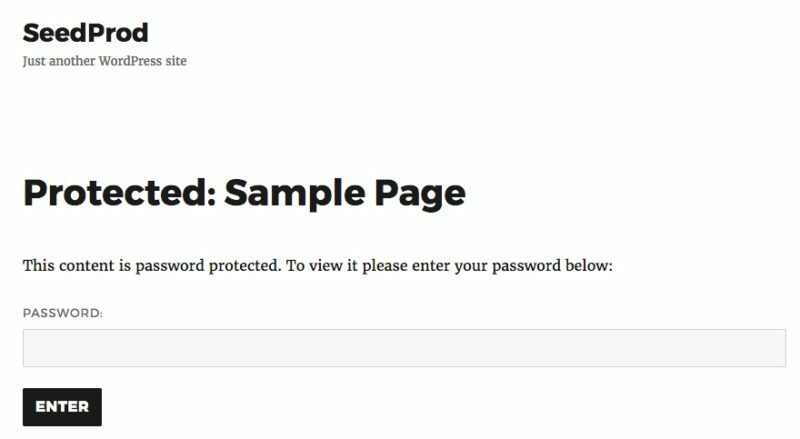 Password Protected pages and posts in WordPress allow you to hide content from visitors unless they have the password to reveal the content. This can be useful for member only pages or pages that are only meant for a certain audience. 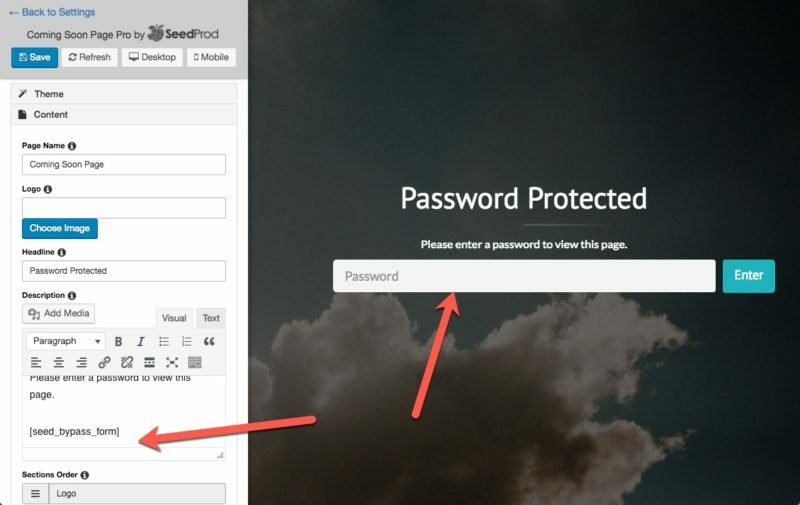 The good news is WordPress makes it quite easy to set up a password protected page or post. See below. 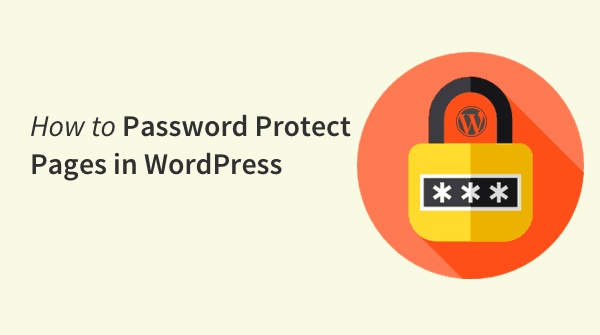 To password protect a page in WordPress follow these simple steps. Edit the page or post you want to password protect. In the top left corner under the Publish option Edit the visibility. From there select Password protected and enter a password. That’s It, Publish and check out the change. Now when viewing the page or post you will be promoted for a password. 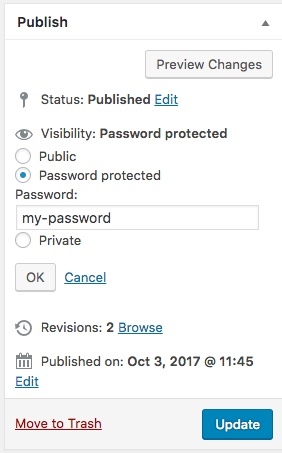 All pages and posts that are password protected will now be appropriately marked as so in WordPress so you can easily see which are protected in the list view. When setting up a password protected page or post you may also notice the option to mark it as Private. The Private visibility option in WordPress simply restricts the content to the person who created it or anyone logged into the WordPress site with the Editor or Administrator role. So this is really not a valid option when it comes to restricting content. Currently WordPress has no way to password protect the entire WordPress site or hide its contents. To achieve this you’ll need to use a 3rd party plugin. The perfect plugin to hide an entire WordPress site or sections of it is the SeedProd Coming Soon Pro Plugin. With the Coming Soon Pro plugin you can hide sections or the hide entire WordPress site using the plugin’s built-in access controls. As you can see this plugin let’s you pick and choose between protecting the enter site or sections of it. To add password protect now just use the plugins bypass feature. This let you give visitors a url to bypass the protect page or let’s them enter the password on the page. Here’s an example of what visitors would see when you add the password shortcode to the plugin. What’s also nice about using the SeedProd Coming Soon Pro plugin is you have total control as to how your password protect screen is styled. So as you can see there are several ways to password protect pages, posts, sections or an entire WordPress website. Depending on your needs and scenario will determine on which method you’ll want to use. Any which way you go rest assured WordPress makes it easy using the built-in method or using a 3rd party plugins.